Free shipping. Buy direct from HP. 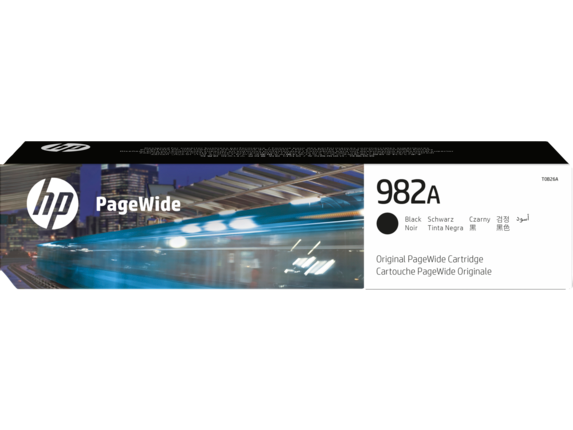 See customer reviews and comparisons for the HP 982A Black Original PageWide Cartridge. Upgrades and savings on select products. Replace cartridges quickly and correctly with easy-open packaging and simple, fast installation.Higher yields, fewer interruptionsEasily recycle your Original HP PageWide cartridges for free through HP Planet Partners. Select consistent printing—Original HP PageWide cartridges are designed to work every time.